I love my roommate, even though she spends the whole day eating and sleeping. She never helps out with the rent, washes dishes or picks up after herself, and she expects me to take her out and entertain her every day. My guess is that you, fellow pet parent, think this sounds all too familiar. If your pooch is a mooch, keep reading to find out how to your playful companion could help earn her keep. While necessities like vet bills, food and boarding likely make up the bulk of these costs, the average dog owner spends $45 per year on toys. You might not be able to offset the cost of food or medical treatments, but you can help Fido become a more fiscally responsible family member by targeting his entertainment budget: sign your dog up to become a pet toy tester. What is Pet Toy Testing? Whether your dog is a chewer, tugger, chaser or cuddler, you’ve likely spent your fair share of time in the toy section of your favorite pet store trying to decide what to take home to your furry friend. But who decides which toys pets are sure to fall in love with? Well, the answer may be you! Like any product-based company, pet stores are concerned with market research as well as the safety and durability of the new toys they’re trying to introduce. Though pet parents can help out by taste-testing pet food, the work of toy testing lies in the paws of the pets themselves. Just as companies need children to test toys like LEGO and strider bikes, pet businesses need animals to let them know which toys are good options, and which are duds. GoDogger works much the same way, offering a 25-35% discount and a bonus coupon for uploading a picture or video of your dog playing with the toy. Bionic Pet Products and Tough Dog Tested are two other companies that offer the chance for your dog to be selected as part of their toy testing pack. Kyjen, in addition to its toy testing program, also has regular prizes and giveaways. How Much Money Can You Make or Save? This depends entirely on the compensation offered by the company. As is the case with other market research or test subject jobs, some will let you keep the product as your “payment.” Others, whether or not they allow you to keep the product, may offer separate financial compensation, while some companies simply offer a discount on the toys you test. However, if your dog eventually becomes bored with the toy, why not refurbish and resell it? That’s what Janet Huey has been doing for more than 17 years! She finds used pet toys at thrift stores and garage sales and cleans them up, then sells them directly to pet owners. While the idea of scoring free or discounted toys for your furry companion sounds like a great gig, you might have some concerns about testing products that have not yet been approved. Discard toys that start to break into pieces or are torn. 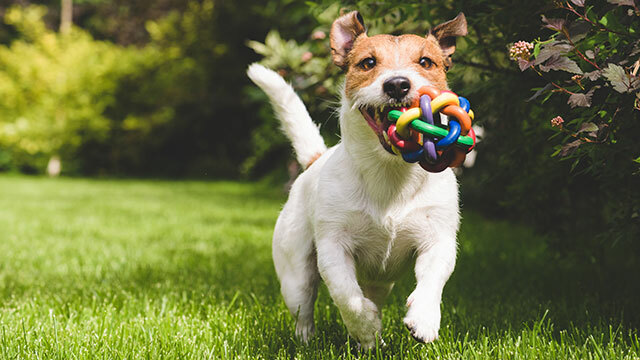 As a pet parent myself, I would suggest monitoring your dog’s playtime with any new toy, especially those that are being tested for safety and durability. And keep an eye out for broken or worn-out parts that may present a choking hazard. Your Turn: Would you put your dog to work as a pet toy tester? Leah Thayer is a Nashville-based writer and teacher. Her pint-sized writing buddy is a white and brown chihuahua named Chiquis.